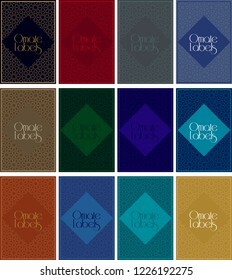 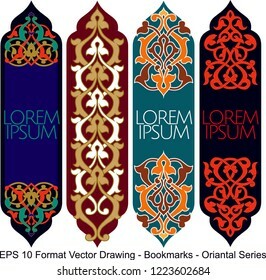 Vector set of ornate vertical Bookmark cards in oriental style. 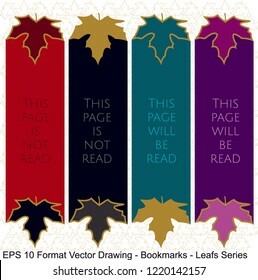 It can be used as wall board, banner, icon, wallpaper, gift card, bookmark or book separator. 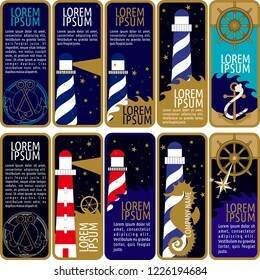 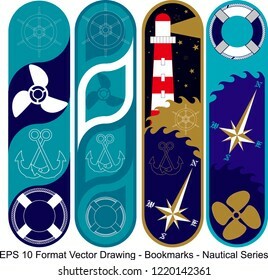 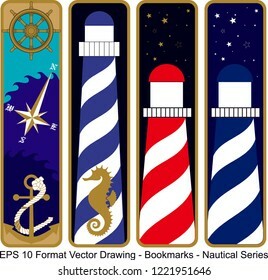 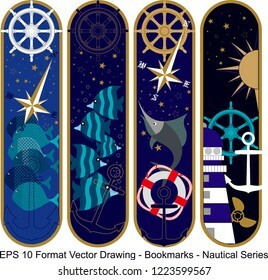 Vector set of ornate vertical Bookmark cards in nautical style. 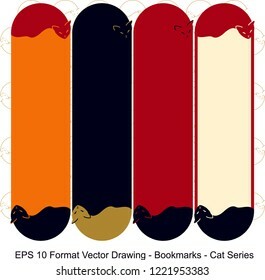 It can be used as wall board, banner, icon, wallpaper, gift card, bookmark or book separator. 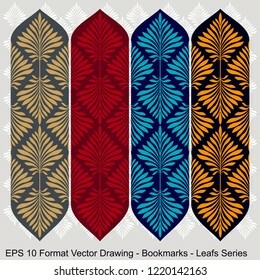 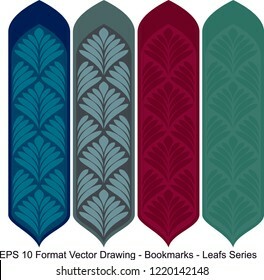 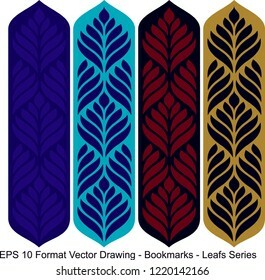 Vector set of ornate vertical Bookmark cards in leaf style. 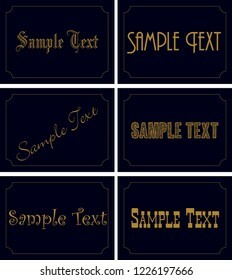 It can be used as wall board, banner, icon, wallpaper, gift card, bookmark or book separator. 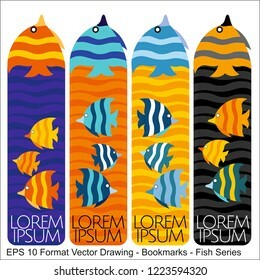 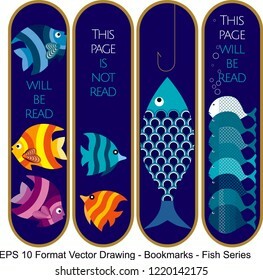 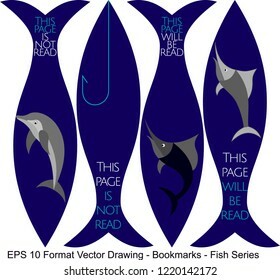 Vector set of ornate vertical Bookmark cards in fish style. 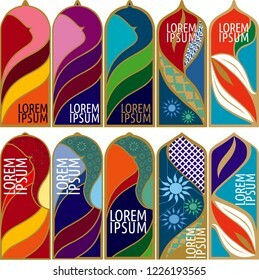 It can be used as wall board, banner, icon, wallpaper, gift card, bookmark or book separator. 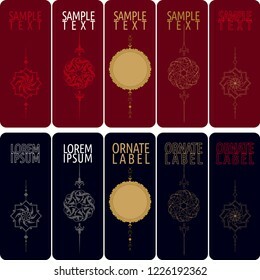 Vector set of ornate vertical Bookmark cards in gothic style. 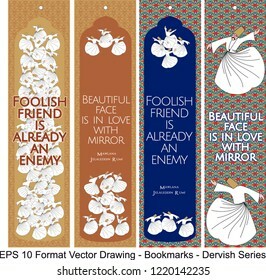 It can be used as wall board, banner, icon, wallpaper, gift card, bookmark or book separator. 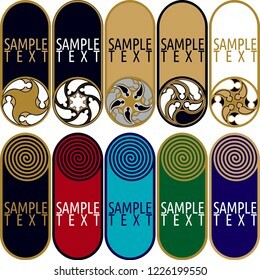 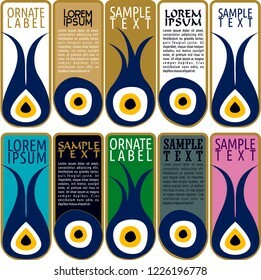 Vector set of ornate vertical Bookmark cards in evil eyes style. 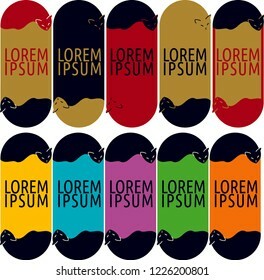 It can be used as wall board, banner, icon, wallpaper, gift card, bookmark or book separator. 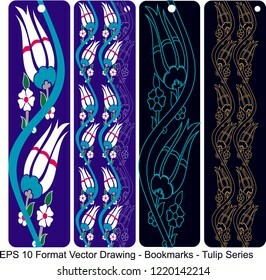 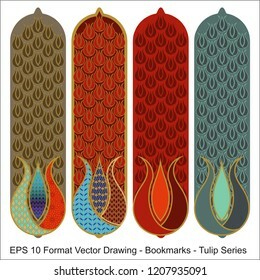 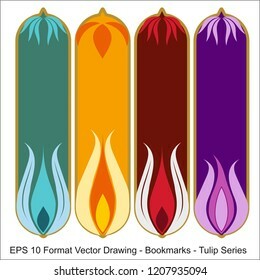 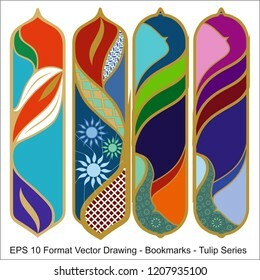 Vector set of ornate vertical Bookmark cards in tulip style. It can be used as wall board, banner, icon, wallpaper, gift card, bookmark or book separator. 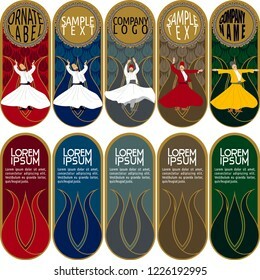 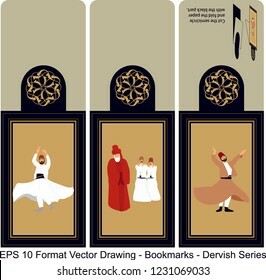 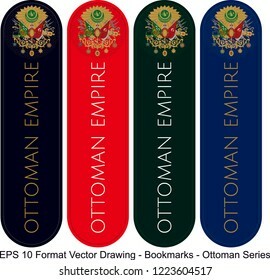 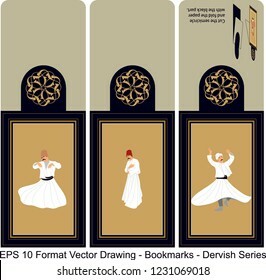 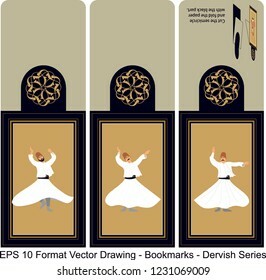 Vector set of ornate vertical Bookmark cards in ottoman style. 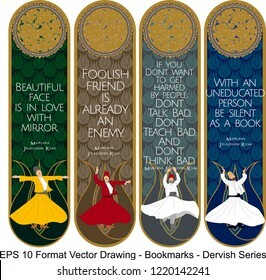 It can be used as wall board, banner, icon, wallpaper, gift card, bookmark or book separator. 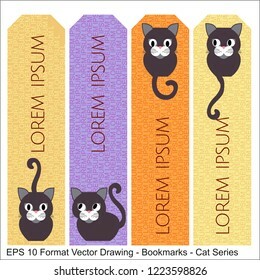 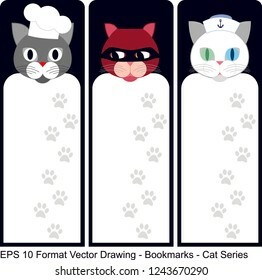 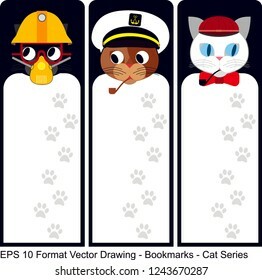 Vector set of ornate vertical Bookmark cards in cat style. 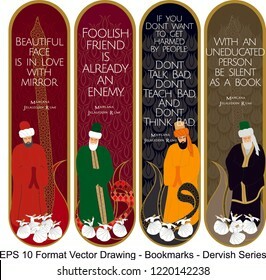 It can be used as wall board, banner, icon, wallpaper, gift card, bookmark or book separator. 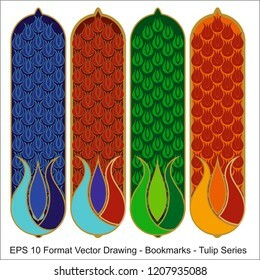 Vector set of ornate vertical Bookmark cards in oriental fish style. 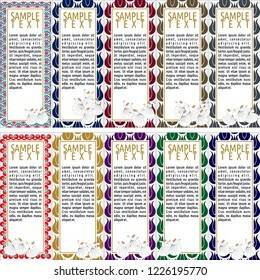 It can be used as wall board, banner, icon, wallpaper, gift card, bookmark or book separator. 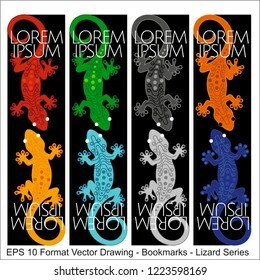 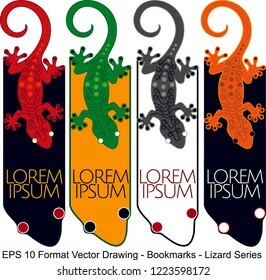 Vector set of ornate vertical Bookmark cards in oriental lizard style. 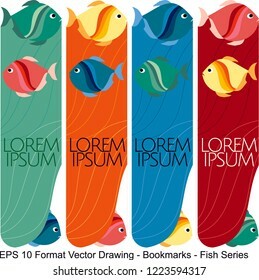 It can be used as wall board, banner, icon, wallpaper, gift card, bookmark or book separator. 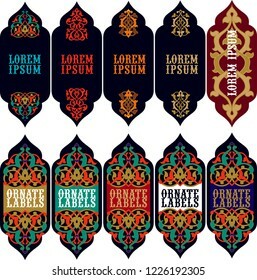 Vector set of ornate vertical Bookmark cards in oriental cat style. 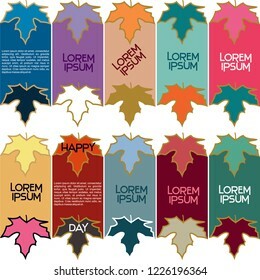 It can be used as wall board, banner, icon, wallpaper, gift card, bookmark or book separator. 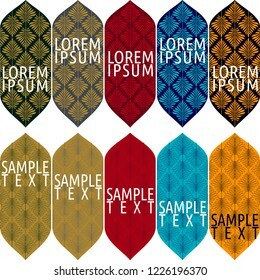 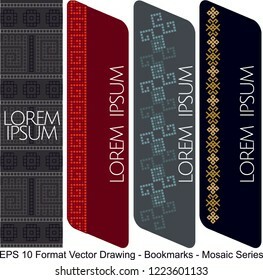 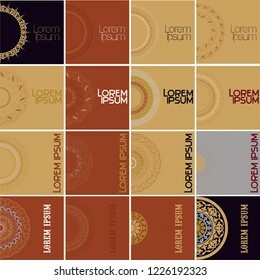 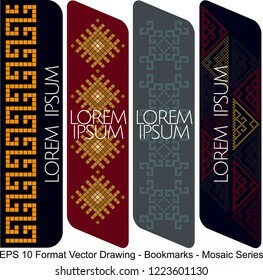 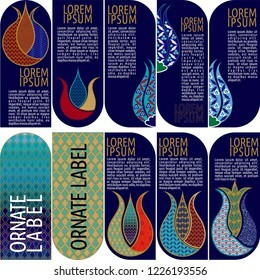 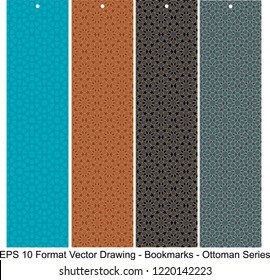 Vector set of ornate vertical Bookmark cards in oriental mosaic style. 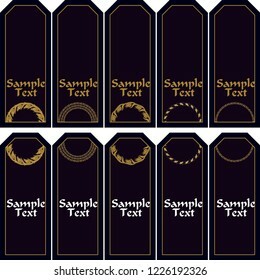 It can be used as wall board, banner, icon, wallpaper, gift card, bookmark or book separator. 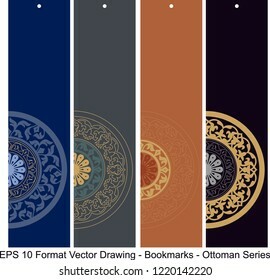 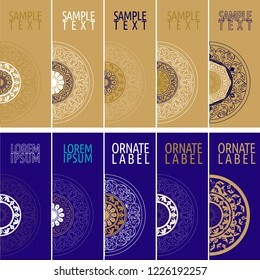 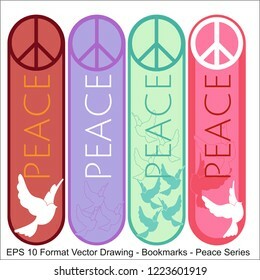 Vector set of ornate vertical Bookmark cards in oriental peace style. 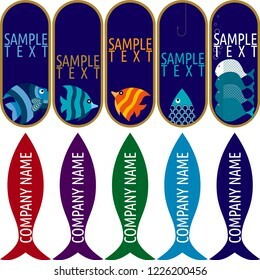 It can be used as wall board, banner, icon, wallpaper, gift card, bookmark or book separator. 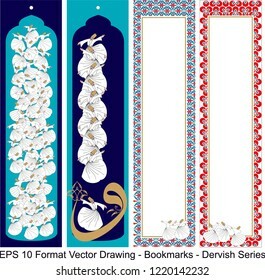 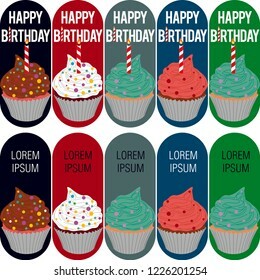 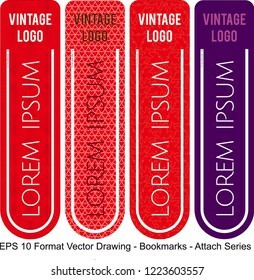 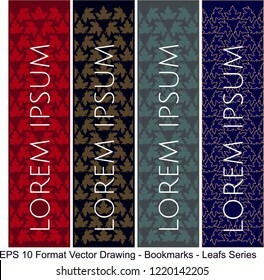 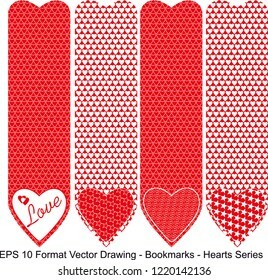 Vector set of ornate vertical Bookmark cards in attach style. 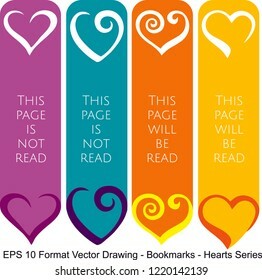 It can be used as wall board, banner, icon, wallpaper, gift card, bookmark or book separator. 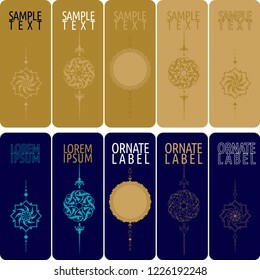 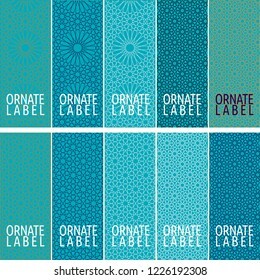 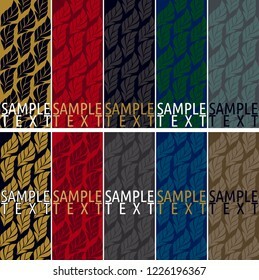 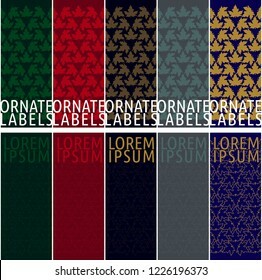 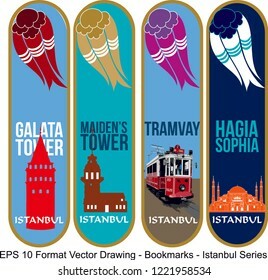 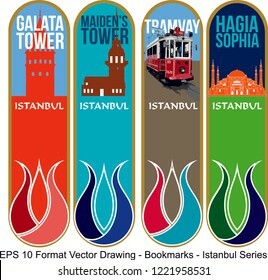 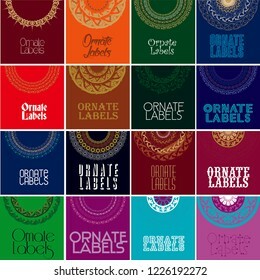 Vector set of ornamental tags for gifts, cuisine, holiday or sale. 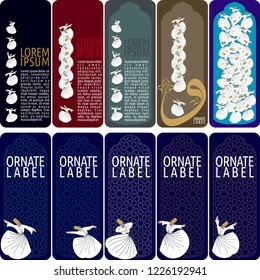 oriantel and ottoman design. 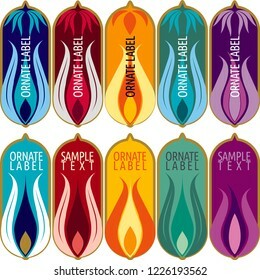 Vector set of ornamental tags for gifts, cuisine, holiday or sale. 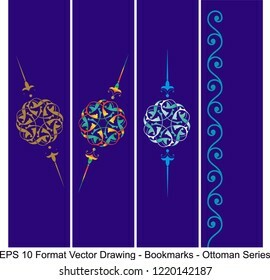 oriental and ottoman design. 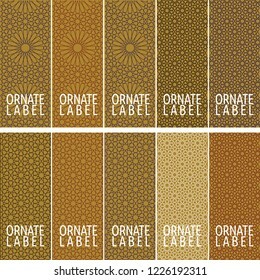 Vector set of ornamental tags for gifts, cuisine, holiday or sale. 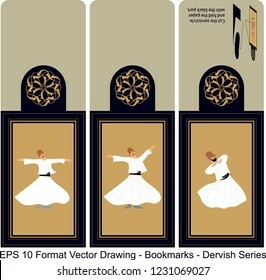 oriental dervish design. 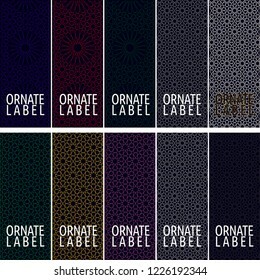 Vector set of ornamental tags for gifts, cuisine, holiday or sale. 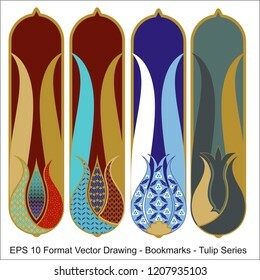 oriental and ottoman tulip design. 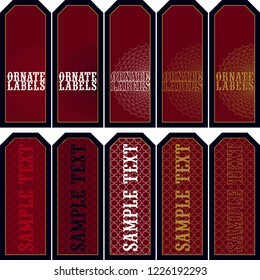 Vector set of ornamental tags for gifts, cuisine, holiday or sale. 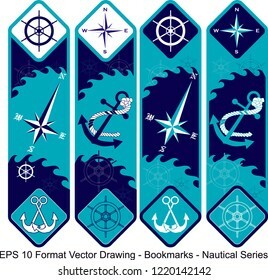 nautical design. 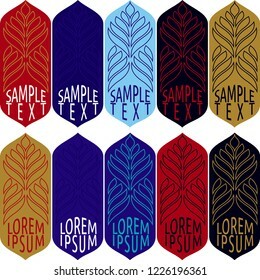 Vector set of ornamental tags for gifts, cuisine, holiday or sale. 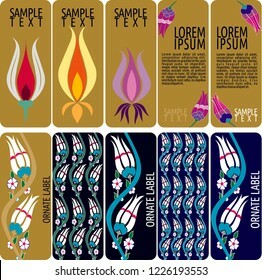 Tulip and oriental design. 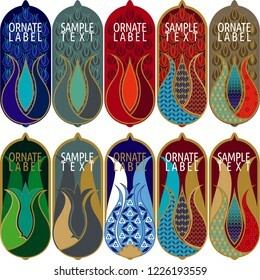 Vector set of ornamental tags for gifts, cuisine, holiday or sale. 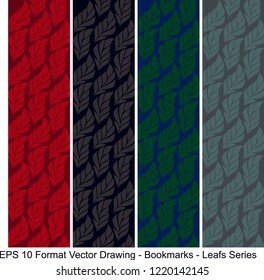 Leaf design. 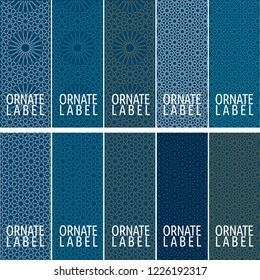 Vector set of ornamental tags for gifts, cuisine, holiday or sale. 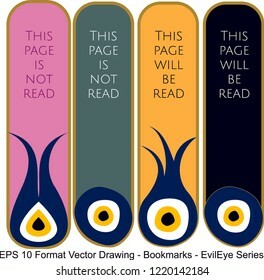 Evil eyes design. 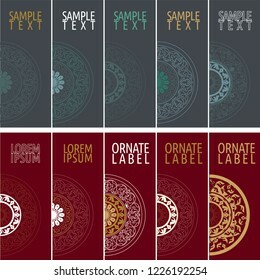 Vector set of ornamental tags for gifts, cuisine, holiday or sale. 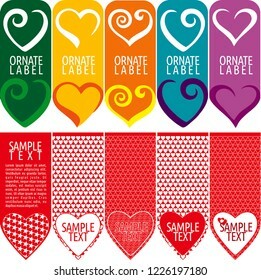 Heart design. 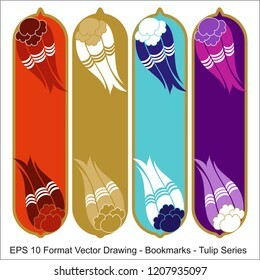 Vector set of ornamental tags for gifts, cuisine, holiday or sale. 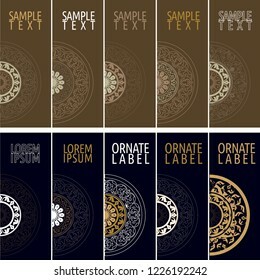 Black and golden design. 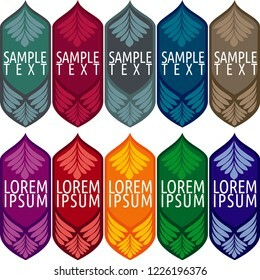 Vector set of ornamental tags for gifts, cuisine, holiday or sale. 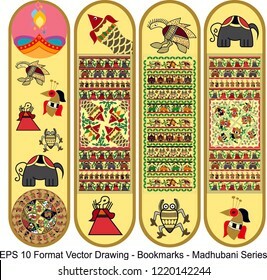 lotus and indian design. 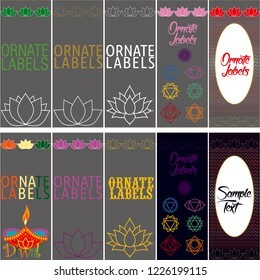 Vector set of ornamental tags for gifts, cuisine, holiday or sale. 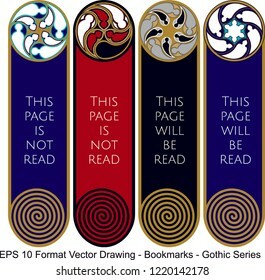 Gothic design. 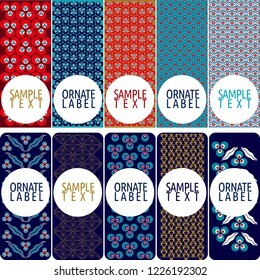 Vector set of ornamental tags for gifts, cuisine, holiday or sale. 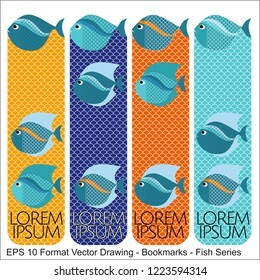 Fish design. 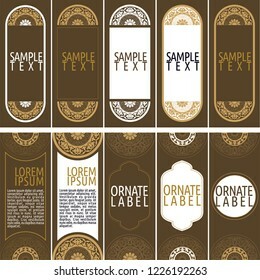 Vector set of ornamental tags for gifts, cuisine, holiday or sale. 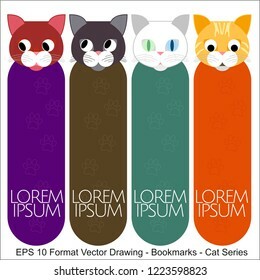 Cat design. 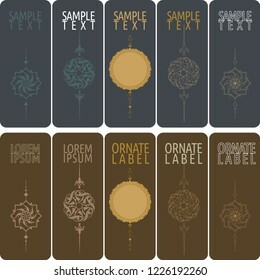 Vector set of ornamental tags for gifts, cuisine, holiday or sale. 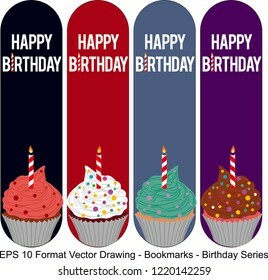 Cakes design.